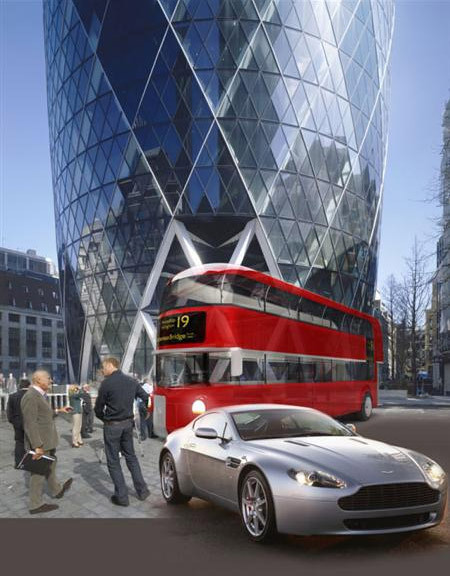 The joint submission by Foster + Partners and Aston Martin has won first prize, alongside Capoco Design, in Transport for Londonâ€™s competition to design a new bus for the capital. 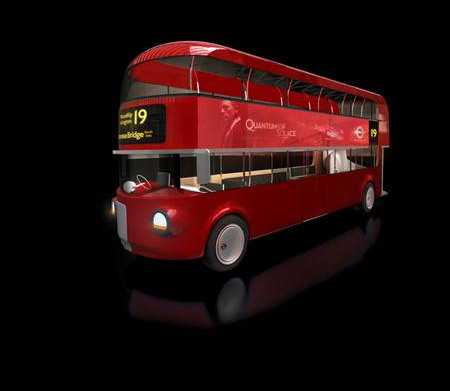 The two iconic British brands worked together to challenge preconceptions of bus design with a vehicle that is environmentally sensitive, accessible, convivial and reinvents a much-loved symbol of London for the modern era. After an intense period of research which included canvassing opinion from passengers, drivers and conductors, the two parties worked in close collaboration to design a new bus from the inside-out. 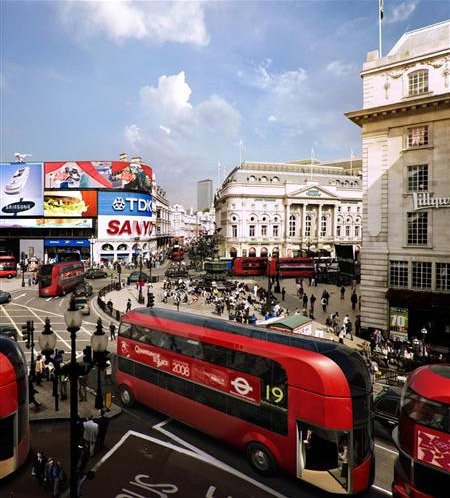 In doing so, consideration was given to a wide range of issues including layout, use of materials, motive power, passenger experience and the busâ€™ impact on the streetscape and the environment of the city. 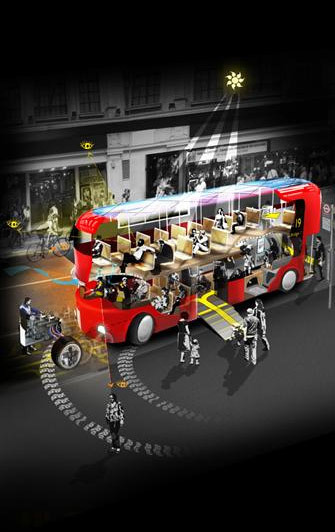 The bus is designed to navigate the dense and varied streets of London, employing innovative technologies to allow for greater manoeuvrability and energy conservation. Optimizing safety, the driver’s cabin provides panoramic views as well as incorporating screens to supervise CCTV images and radio communications with the on-board conductor. Much like a car or a building, the design evolved in response to the needs of its users. The layout, lighting and wooden floors are conceived to encourage a spirit of warmth and community. The arrangement of the decks is driven by comfort and particular consideration is given to the selection of reconstituted leather upholstery to create a tactile â€˜living roomâ€™ feel, especially in the saloon-like lower deck. The new bus is zero emissions ready, accessible for all and will set new standards for sustainable public service vehicles. Passengers benefit from views from the top of the deck through a glazed roof which incorporates solar cells to generate energy and filter daylight to control the temperature inside. 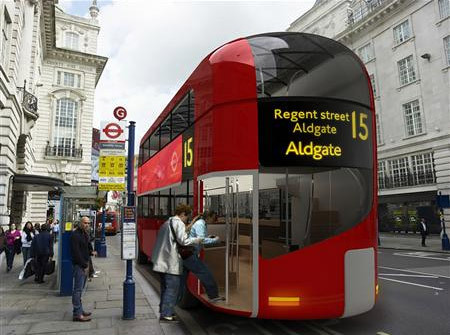 The bus design re-introduces the rear open access platform that made London’s Routemaster bus so popular up until its withdrawal from general service. This is supplemented by a side door to facilitate access for the mobility impaired and families with young children. Director of Design for Aston Martin, Marek Reichman said: “This unique project has been a great experience for the Aston Martin team and has allowed us to showcase the considerable and diverse design competence of our team, while affording us the opportunity to apply elements of our design language to entirely different concept.